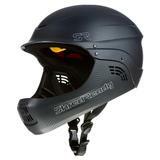 The fullface is basically the standard helmet with a full solid chinguard added. If you want to protect your face when paddling in whitewater this is the way to go. 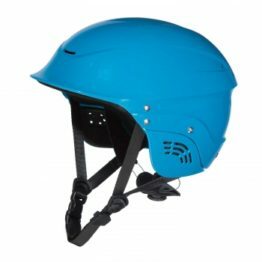 The helmet comes in one shell size with sets of padding that you velcro in to make smaller, the pads are colour coded and marked small , medium , large. 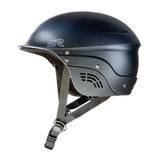 One of the best features is the dial in adjustment system at the nape of the neck, it really works well at locking helmet on your head. There is a choice of colours available , but we normally only stock one colour at a time, other colours are often available in just a couple days.